Controller mods are nothing new, but this one – this one is unlike anything we’ve ever seen before! 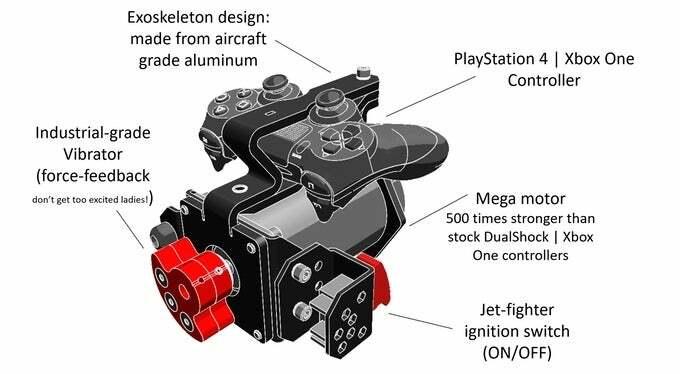 Created by a former NASA engineer, this mod takes the PlayStation Dualshock 4 controller and the Xbox One controller and creates something undeniably epic! It even has a motor! Introducing the MEGA-One controller mod. “When was the last time you felt the real rush of adrenaline playing a PlayStation 4 / Xbox One game? “Imagine playing your favorite FPS or racing game with the MEGA-one™! 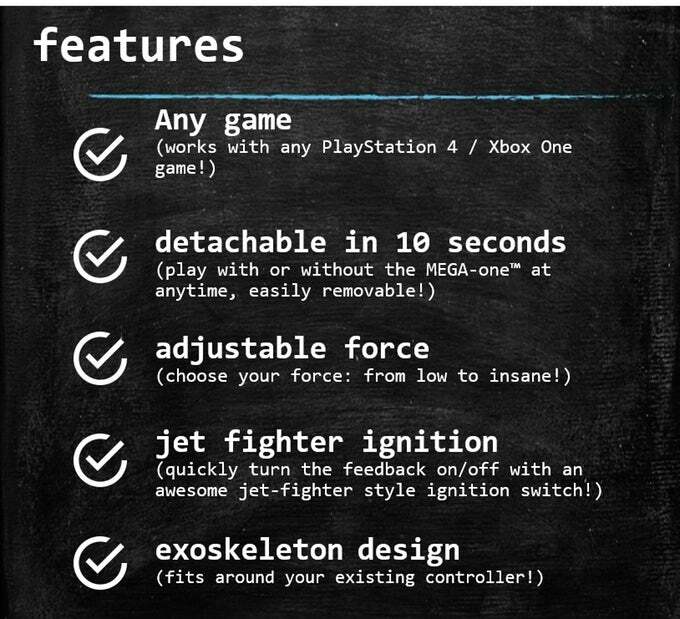 Each bullet you fire recoils the controller back at you! By why this? Though the controller is incredible and the passion is easy to see, why this specific design? The creator himself gave us a little background information and really … it kind of makes sense now. Honestly, this is rad. As a former veteran myself that worked as an electrical engineer, this has me more than a little intrigued. Developers and gamers alike are backing this ambitious project, and now you can to! Don’t forget to share with your friends if this is right up your alley!